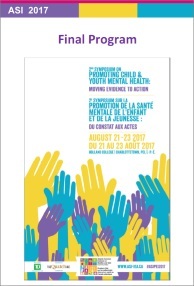 The bilingual Symposium will build on the momentum from the past 2 years of programming which focused on emerging evidence and best practices that promote positive child and youth mental health in schools and communities. Registration will be held on Monday, August 21 from 12:00-6:16pm in the Charlottetown Centre at Holland College (140 Weymouth Street, Charlottetown, PEI). Free parking is available on-street, as well as in a nearby parking lot on Grafton Street. 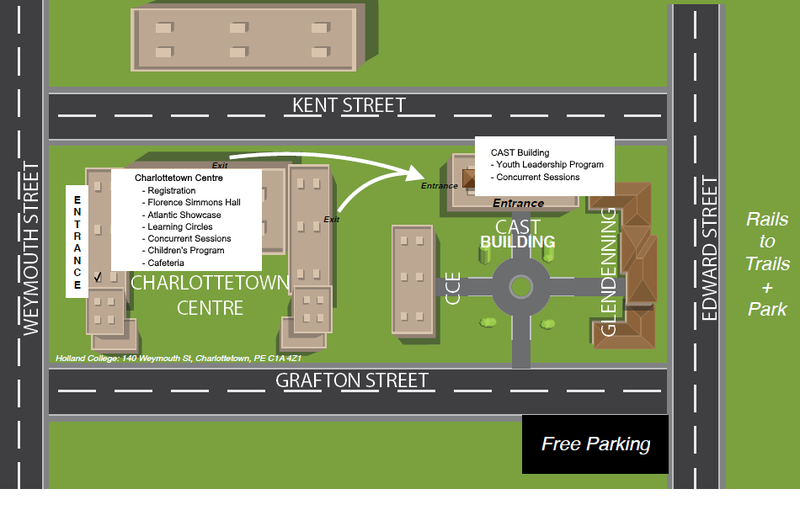 Please refer to this campus map for details. Strengthening policies and programs that affect and support positive mental health for children and youth is vital to creating a sustainable and inclusive Atlantic Canada. We invite those whose work directly or indirectly affects child and youth mental health to attend, such as families, teachers, policy advisors, program delivery staff and community leaders. They will have the opportunity for professional development, networking across sectors in the four Atlantic Provinces, and contributing to how we move forward on a regional level to have a collective impact on positive child and youth mental health. The goal of this Symposium is to build momentum from the past 2 years of programming consolidating emerging evidence and best practice to collaboratively share and construct strategies that promote positive mental health in schools and communities.